If you are considering giving gift cards this holiday season, you’re not alone. The convenience and flexibility gift cards offer can fit the bill whether your employees and patrons are looking for a good movie to watch, book to read or even a way to become better organized in the New Year. Recent reports show the popularity of gift cards is rising and could even break records this Christmas. National Gift Card can partner with your company to create a seamless program that fits your budget, is easy to administer and helps achieve your objectives. And NGC has the most popular brands – AMC Theaters, Barnes & Noble and The Container Store, to name just a few holiday stocking stuffer options. Gift card purchases were up 40 percent in the first two quarters of 2015, according to a recent study. Last minute shopping by consumers is cited as one of the reasons for the uptick in sales. It should come as no surprise then, that gift cards top the list of most wanted items for the ninth straight year. The National Retail Federation’s (NRF) annual survey revealed that nearly 59 percent of consumers celebrating the holidays want gift cards. By comparison, clothing or clothing accessories placed a distant second at 52 percent while entertainment items like video games, DVDs and books was third at just more than 40 percent. The NRF survey points to the economy’s continued recovery as another reason for the surge. Businesses, in particular, are increasing their spending while tailoring programs to suit different employee age groups. Electronics and cards that give a measure of autonomy are highly valued by potential recipients. Given the data, Barnes & Noble gift cards would seem to sit squarely at the intersection of your patrons and employees holiday desires. 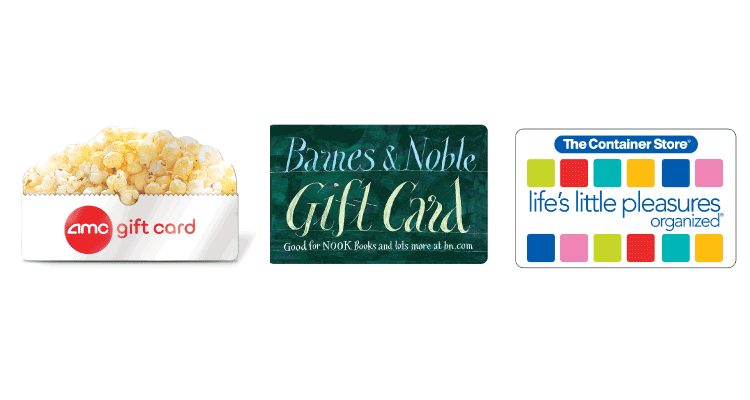 The latest NOOK Books, movies, toys, and games can be purchased with gift cards at Barnes & Noble stores or online. For those that prefer to go out to the movies, AMC gift cards can be redeemed at 300 theaters nationwide. A gift card to The Container Store is just the thing for your patrons and employees looking to get organized – from the closet and bathroom to the kitchen and garage. 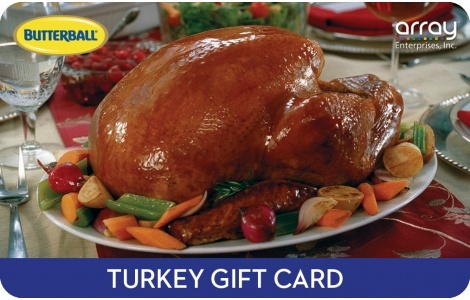 This year, you don’t need a reason to use gift cards; you’re just following the trend.